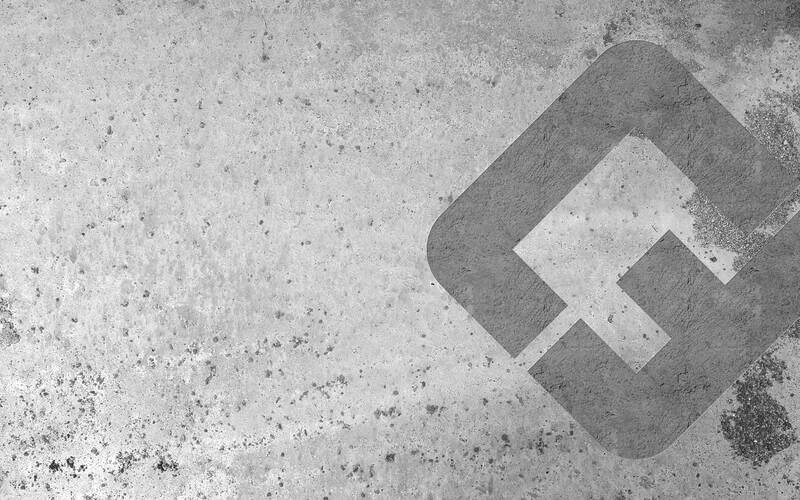 Having specialised in concrete flooring for commercial developments for close to 40 years, Contract Flooring has flourished off the back of their solid reputation, repeat business and referrals. In 2019 they’re looking to build upon their reputation, forge new relationships and grow into new markets. Strong, consistent branding will drive their push into new territory. We’ve already redesigned their logo. 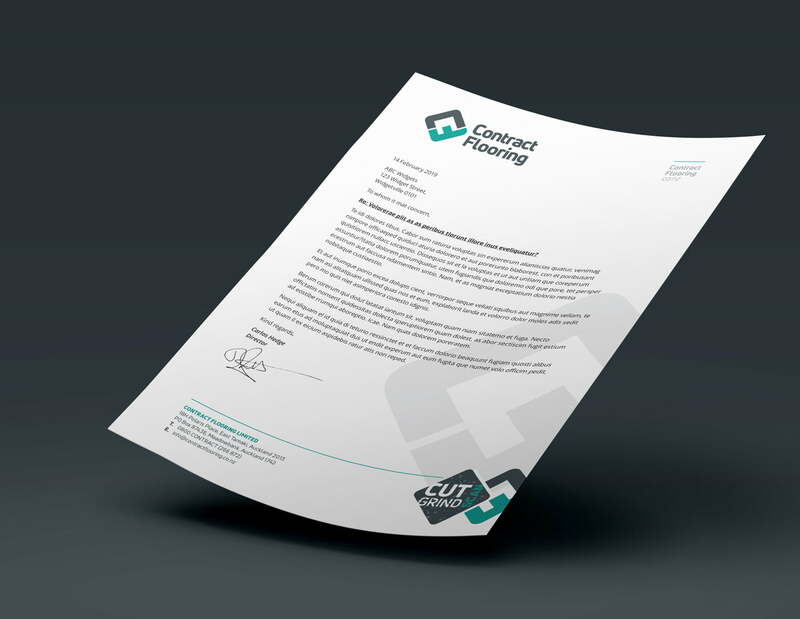 Now we’re exploring how to carry this new look through into a full branding exercise: vehicle signage, corporate stationery – business card and letterhead, email signature and embroidery. Central to this branding exercise is their fleet of vehicles. 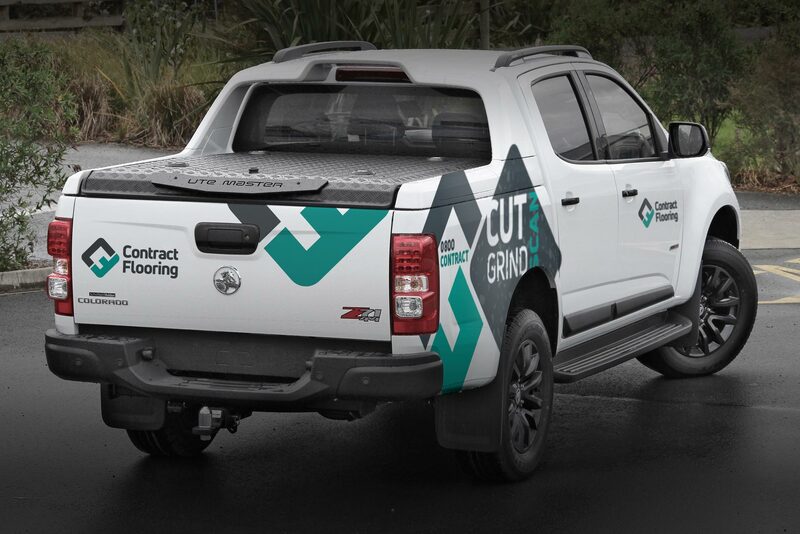 Contract Flooring has a baker’s dozen utes and vans on the road and stationed at various large-scale developments across New Zealand. Like travelling billboards, the vehicles need to promote their core business, with clarity and visual impact. Currently, their fleet reads like a brochure with multiple lists of all the things they can do. It’s too wordy, it’s hard to read and it’s really not very eye catching. Our branding design team set about summarising their core offering within one powerful graphic. 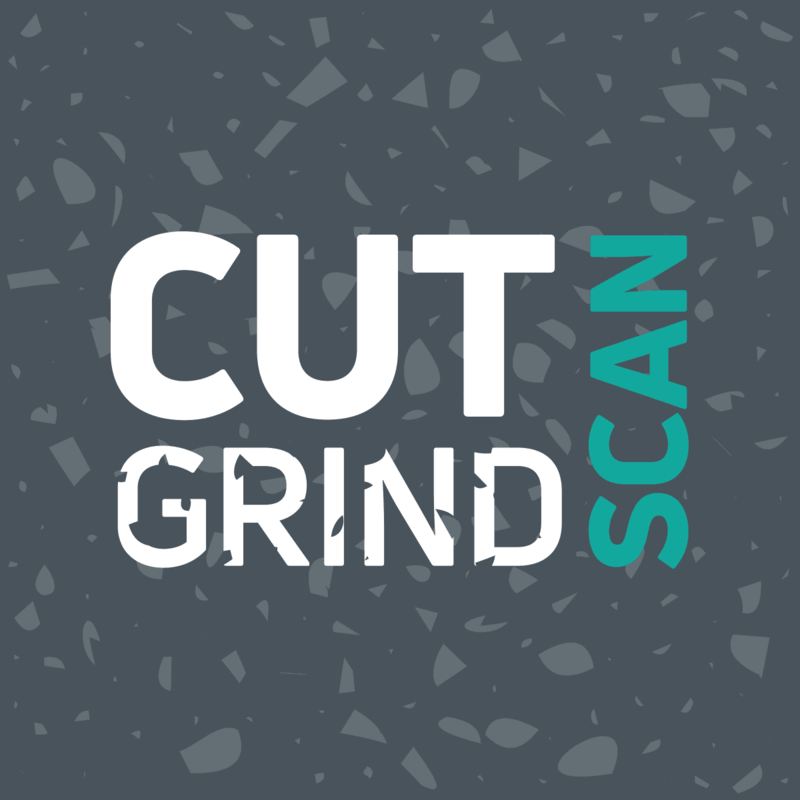 We’ve created a blend of creative typography (CUT GRIND SCAN) overlaid on an exposed aggregate concrete background, all framed within a diamond-shaped tile that matches the new logo’s icon shape. The aggregate background is vector drawn so that the design can be easily vinyl cut by their preferred signwriting supplier. A financial supporter of various motor racing outfits, their new brand will be on show at race tracks here in New Zealand as well as in Australia. Hart Design has designed a new-look business card and letterhead that carries through the themes from the new logo and vehicle signage. 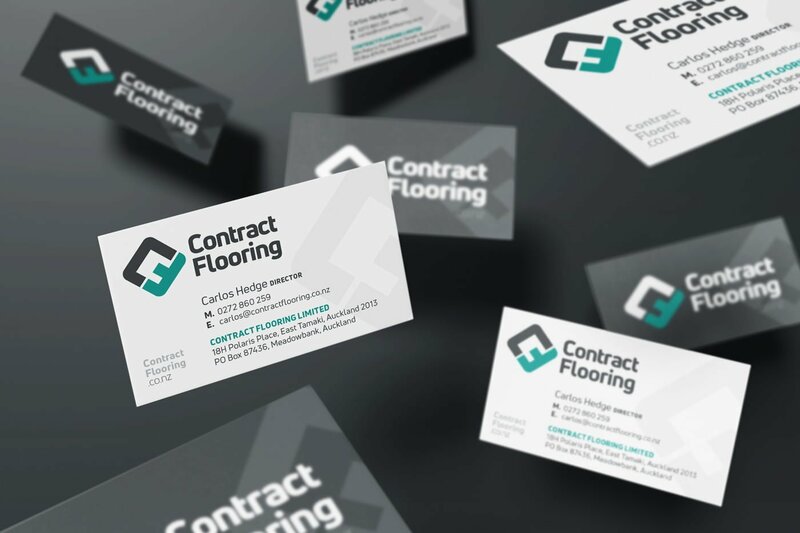 The business card is now easier to read and has a more creative edge compared to what the Contract Flooring team has been handing out to date. We’ve also created a new design for their email signatures. 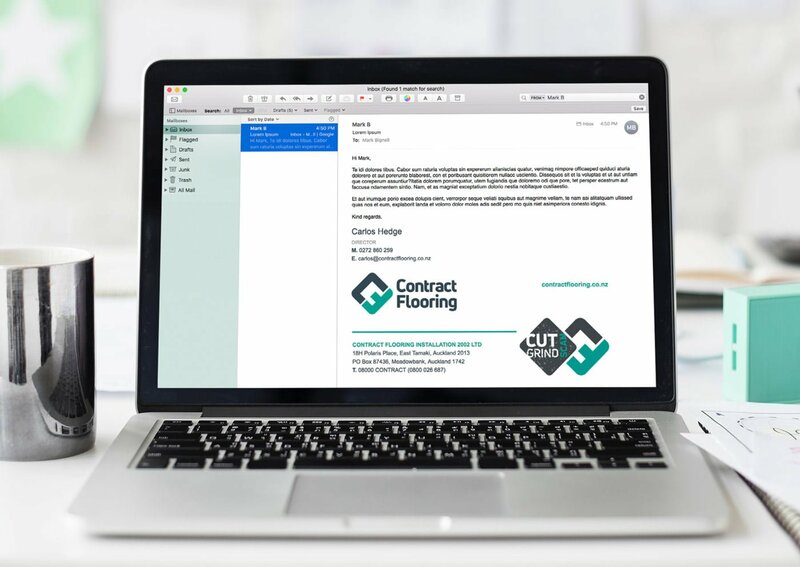 Prior to this new design, the team at Contract Flooring hand simply placed a digital copy of their old business card at the bottom of their emails. They now have a purpose-designed text and image layout that elevates their digital communications to a more professional level. With an eye to future branding initiatives, our design team has looked at how the new logo will work when embroidered. 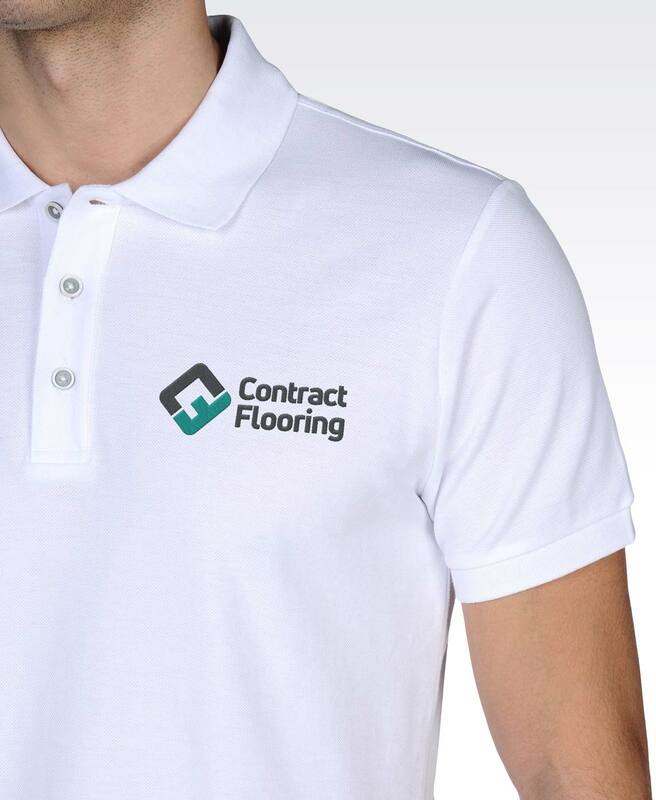 We’ve created visuals that show the logo on both white and black business polos shirts. 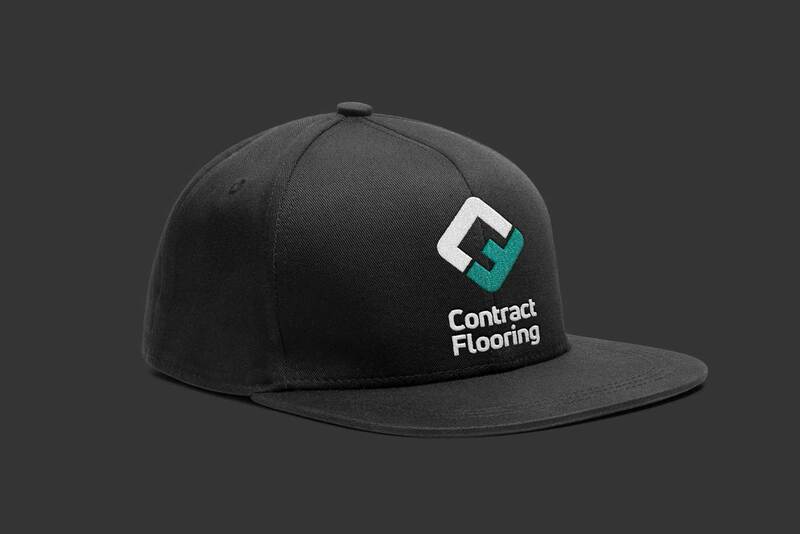 And for Contract Flooring’s crew of tradies we’ve mocked up a stacked (vertical orientation) logo onto a black cap. Carlos found inspiration in the humble coffee mug. The bold colour and strong lines in the new logo design makes for a striking corporate gift. “These would be great to hand out at the end of the year – much better than the typical pen and notepad that people hand out. Or just in the office – our guys are always losing their coffee cups!” says Carlos. 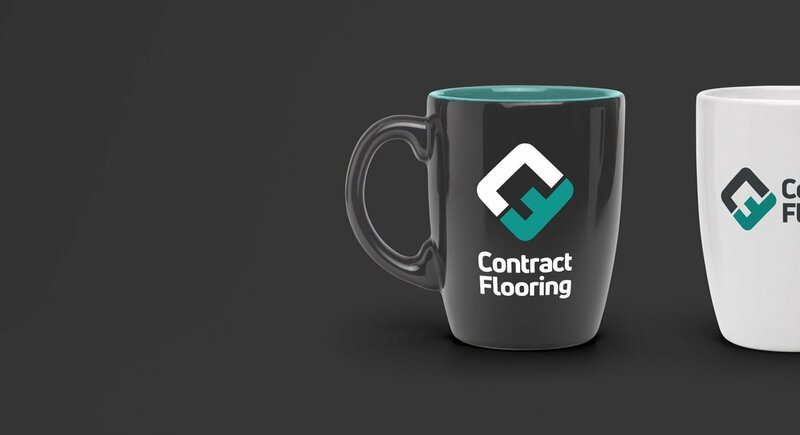 Our creative capabilities for logo design and branding have already elevated Contract Flooring to a higher level. 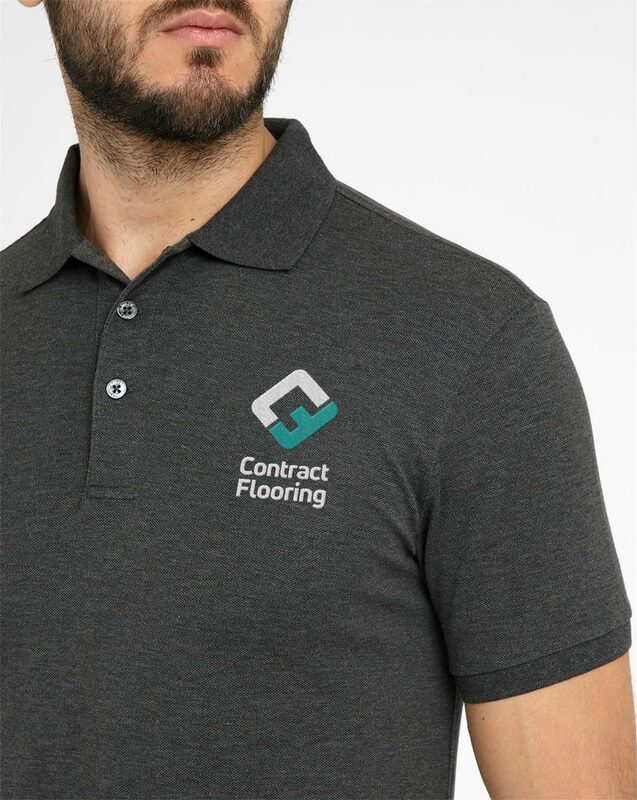 With the new logo set in concrete and the brand development in the bag, our focus will shift towards the Contract Flooring website redesign. In his own words, Carlos has labelled his website as “outdated” and noted that it fails to accurately reflect their full service offering. Carlos identified Hart Design as a “web design expert” when he found us online. 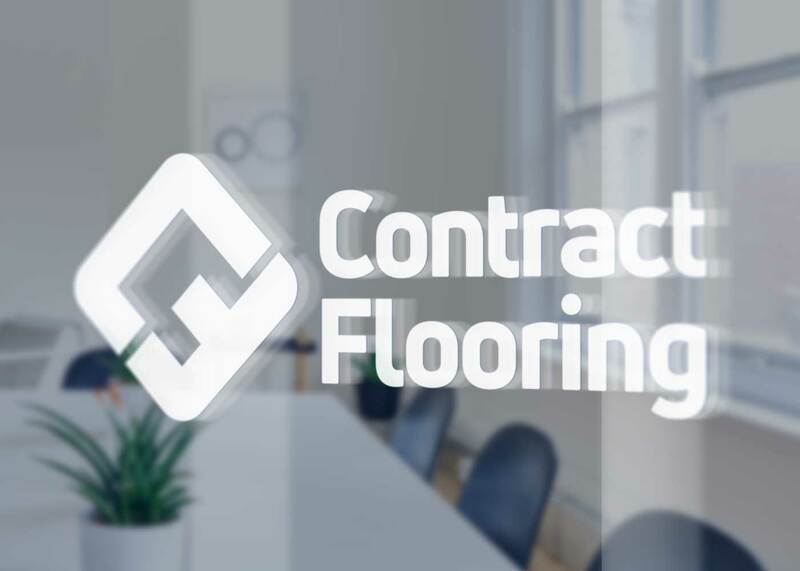 It’s our expertise in consultation with Contract Flooring that will produce a website that matches their level of expertise and professionalism in their chosen field. Watch this space. Could your branding use a little more punch? With a creative eye for design, we can bring your branding to life.